Taipei, Jan. 22 (CNA) Foreign Minister David Lin said Tuesday that the Diaoyutai Islands in the East China Sea are inherent territory of the Republic of China and added that the government "will not back down on any sovereignty issue." Lin's remarks came after tensions in the region escalated after U.S. Secretary of State Hillary Clinton talked about Washington's policy toward the island group in a Jan. 18 news conference. Clinton said the U.S. does not have a position on the ultimate sovereignty of the islands, but acknowledges that they are under the administration of Japan and opposes "any unilateral actions that would seek to undermine Japanese administration." Lin made clear that sovereignty is different from the administrative control over a territory. He added that Clinton also said that the U.S. wants to see "China and Japan resolve this matter peacefully through dialogue," indicating that the U.S. acknowledges the existence of the disputes over the island group and that it wishes for regional peace and stability, which is in line with the wishes of Taiwan. 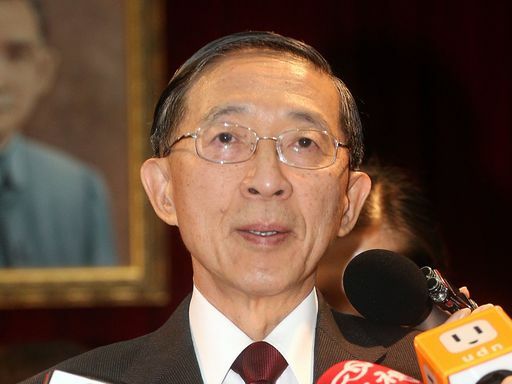 As for Japan's administrative control over the Diaoyutais, Lin said Taiwan wishes to conduct negotiations with Japan over fishing rights in the disputed area. He added that the Foreign Ministry is still working on having a second round of preparatory fishery talks with Japan. Lin made the remarks on the sidelines of the swearing-in ceremony for Taiwan's newly appointed representative to Bahrain, Paul Y.F. Hsu. On the much-anticipated resumption of Trade and Investment Framework Agreement talks between the U.S. and Taiwan, Lin said the talks will be resumed soon, and that his ministry will announce the timeline once it reaches a consensus with the U.S.